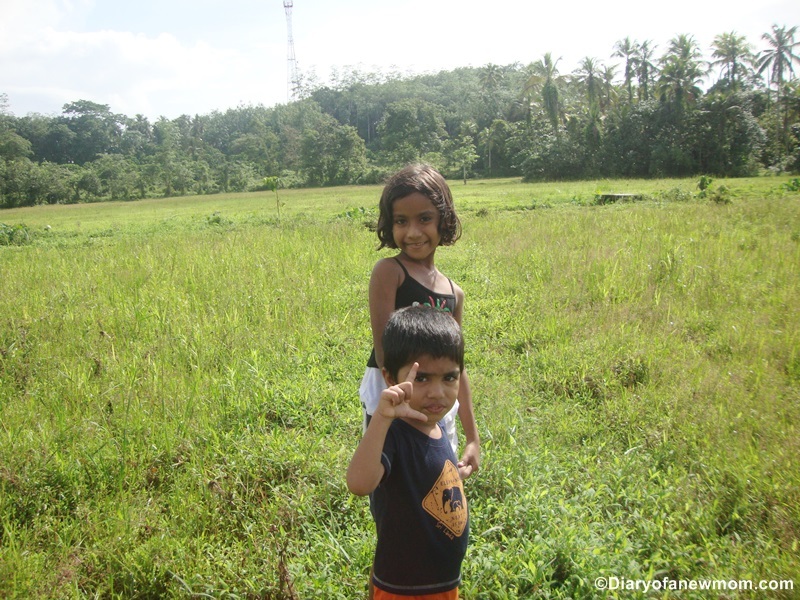 We spent a long holiday in Sri Lanka. If you’ve noticed I didn’t update the blog with our travel stories after this post about My Little Giant indoor playpark. 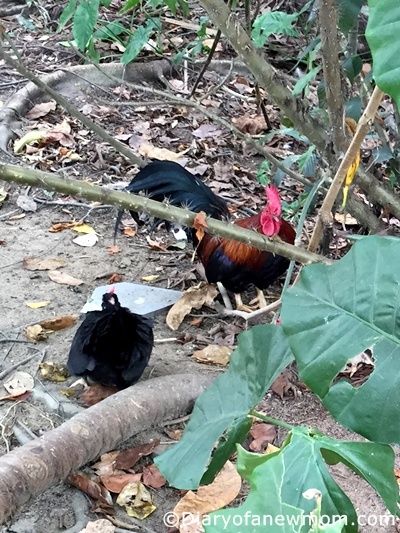 We visited Sri Lanka for holidays at the end of October and spent there till the mid of December. It was a great holiday for my kid to spend his time with the grandparents and other relatives. 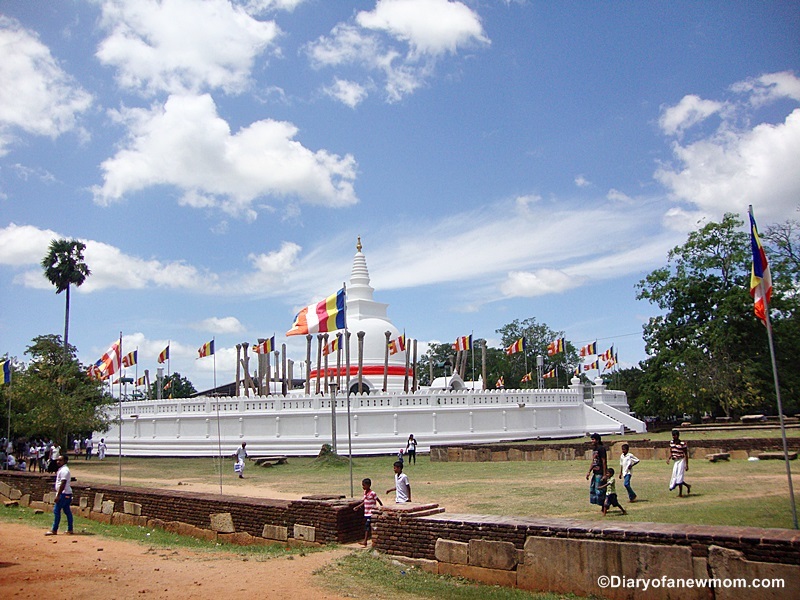 Other than his time with grandparents, we also visited some attractions in Sri Lanka which are specially good for kids. 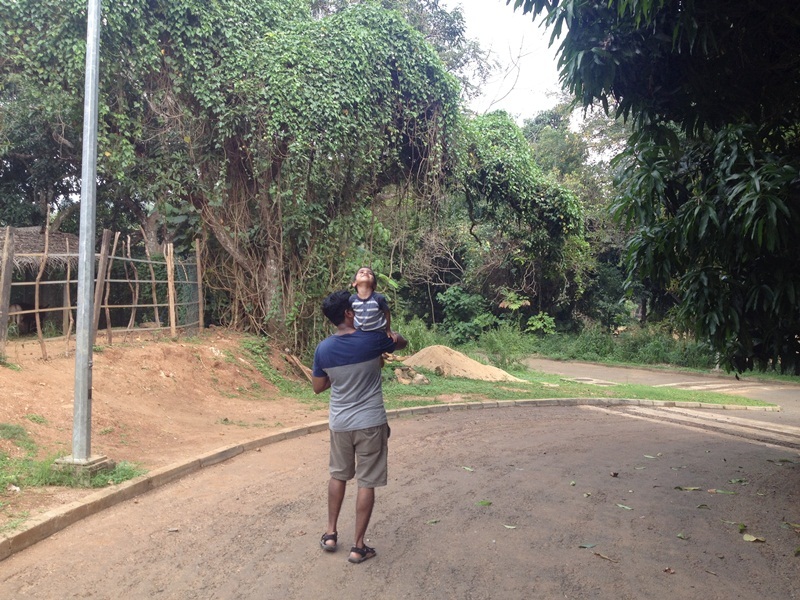 Sanu, our kid saw the elephants in Pinnawala Elephant orphanage. This is his first time to see the elephants in real as we miss the opportunity in our first Singapore zoo visit. 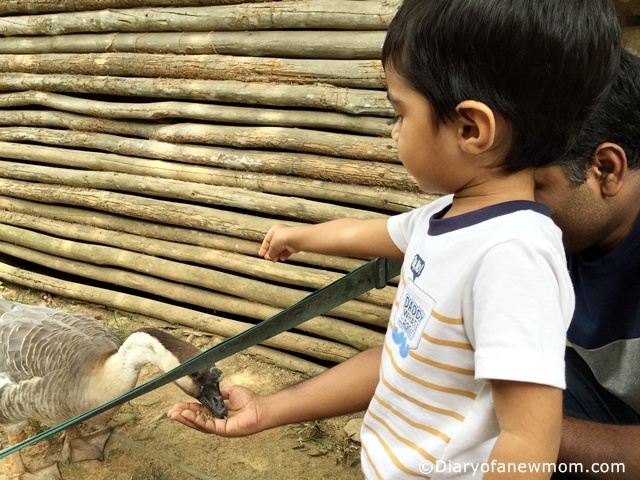 Next to the Pinnawala Elephant orphanage, there is also a zoo which is newly built. (Or still under construction).Although there are no many animals to see, this zoo is good enough for a little kid to spend the day. Other than such attractions, Sanu spent his time playing with his cousin sister Imalsha and it was the happiest time for him. Night time experiences such as watching fireflies, bats and hearing the sounds of howling dogs are new experiences for him which we don’t experience in Singapore. He also experienced his time running around the home gardens. Anyway, we are back to Singapore and I am still trying to come to my daily routine. I really miss my time which I spend reading other fellow blogs. 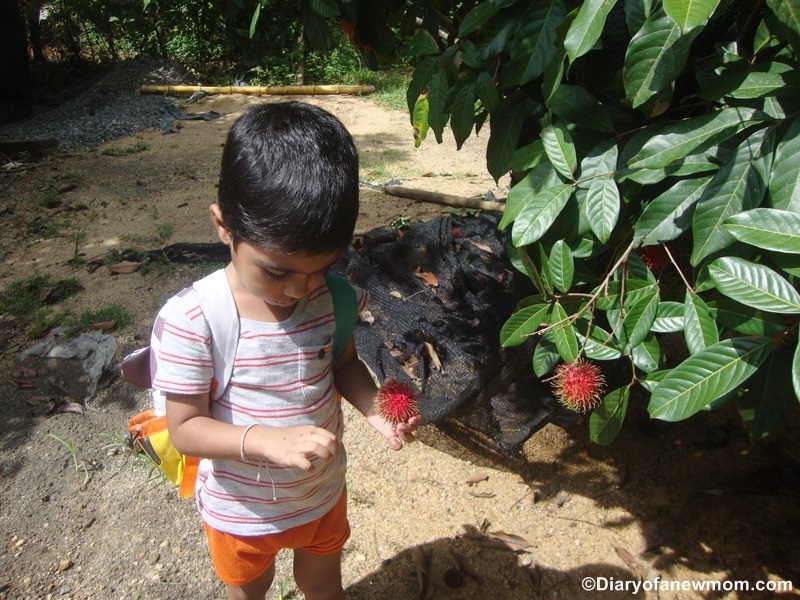 With new school term, we are busy with sending Sanu to Preschool, but I am glad still I could find some time to write a blog post. My little explorer with his favourite bag from itsmybag.com at the Changi Airport. How about you? How did you spend last year school holidays? Please share your thoughts. 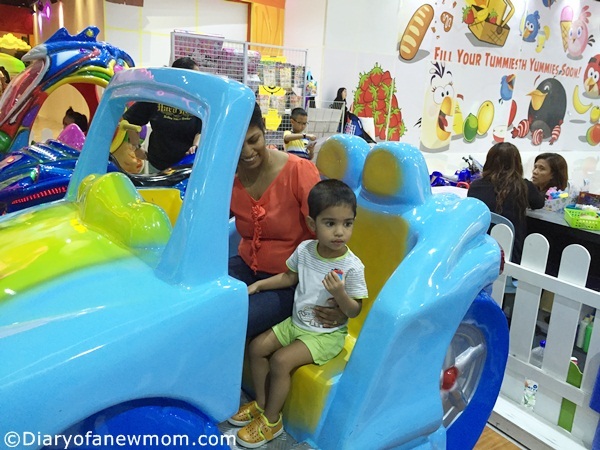 Last week we had so much fun at the Pororo Park Singapore. It was a great opportunity for my kid as he is also in love with the Pororo, the Little Penguin. Those who follow my blog stories know Sanu loves Peppa so much. But after our visit to Kids World Fair, he found a new cartoon character and that is the beginning of his love to Pororo! Anyway Pororo the Little Penguin is an award winning Korean animation series. Pororo Park Singapore is a play and educational indoor playground which stretches over 11,000sqft area.If you look for fun things to do in Singapore or kids indoor playgrounds in Singapore,dont forget to visit this Pororo themed Park for kids!Here is why! 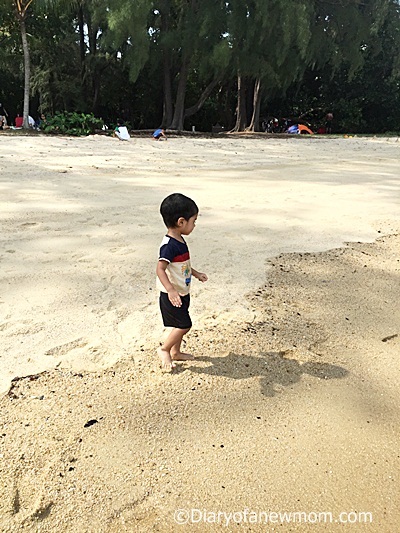 Why Pororo Park Singapore is special? If you think Pororo Park is just another indoor playground with themed Pororo characters, no it is not! Instead of just another indoor playground, Pororo Park is a place for edutainment. It is designed to entertain and educate children while enhancing social skills allowing them to play in group play environment. Here is a photo walk of our experience there. 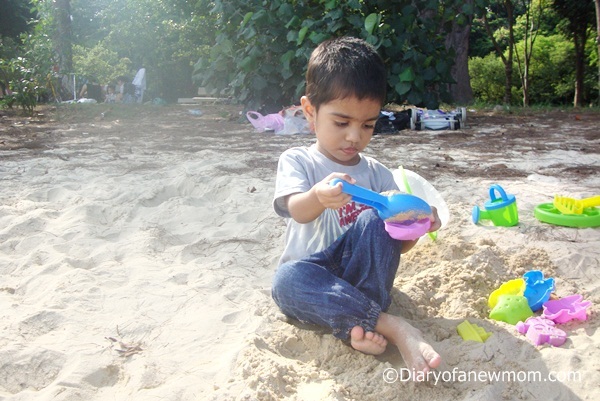 Sanu enjoyed his time at the Pororo Park and was busy with different activities. Really great experience just before his 3rd Birthday! It is so much fun to talk with Pororo & Friends.They are too cute! Well, when we just entered into the Pororo Park, Sanu found this cute penguins and attracted them so much. He was a little butterfly, so I don’t have a good picture with him. Most are shaky or blurr pictures as he was too active! We had so much fun at the Shark Ball Pool.More photos soon! The next attraction we loved in Pororo Park is this Shark Ball Pool. Actually it is designed for throwing balls to the shark’s mouth. But, my kid including most others played with the balls forgetting the Shark. And me? Of course, I played with the balls too! Isn’t it so much fun if we get the chance to having a ride with most loving characters? Sanu got that chance of having a train ride with Pororo and friends! Not only Sanu, any kid can enjoy fun rides on this motored Pororo & friends train. And there are endless photo opportunities too! At first I thought Sanu will get scared to ride alone without me as this is his first time to such ride without me. But, for my surprise he was not! Even he had a second ride alone just before we left the park at the evening. Below are photos from other fun areas. Kids will amaze just by the view of the Pororo’s house. It is similar to the Pororo’s house of the cartoon series and a perfect idea for pretend playing. Kids can enjoy their time at the Pororo’s house as they love. My kid was really surprised to similar arrangement inside the Pororo’s house and had fun time running here and there. Wow!This Pororo House is same as the Pororo’s house in the Pororo & Friends cartoon! Looking out from the Pororo’s window! Eddy’s playroom is with fun and interactive activities for little ones. There are monthly activities such as ‘Pororo Times’, ’I am a Fashion Designer’ & ‘Cooking for Moms’. Best part is that, these activities are changed monthly giving the visitors the opportunity to enjoy something new each month. There are also exclusive members classes such as ‘kids yoga’, ’Mom & Toddler Yoga’ and ‘Let’s learn about the weather’ which are helpful for kids to learn different experiences through activities. Wooden toys to play and think! In Pororo Park there are areas that are designated for toddlers and even for infants. With activities to enhance skills such as fine motor skills, hand eye coordination and imagination, these designated areas are with colourful toys and activities. The Play gym is full of activities. From climbing to running, sliding and hiding, Play Gym is one of the most attractive areas inside the Pororo Park. My kid loves this area. He pretended like he was in a super market. This super market is great for pretend play which enhances the imagination and creative skills of kids. Now,it is time to pay for the vegetables I selected. One of the favourite places of my son is this little theatre. However we missed watching a musical show there. If you visit Pororo Park, don’t forget to check the schedule and daily programs, so you can enjoy a musical with your kids and Pororo. We missed the Musical show.But my kid had lot of fun with the recorded music and lights inside the theater! Other than these daily musical shows, there are monthly special performances too happening there which includes magician, puppets and juggling shows which can entertain your kids. Activities such as ‘Be a Kpop Star’ are exclusive members-only activities which are also changed monthly. Inside the Pororo Park, there is also a café which you can buy food & drinks to indulge yourself. Parents can enjoy time there till the kids are in activities. Rody’s toy store is located outside the Pororo Park just before the entrance. There are many Pororo Toys and Pororo souvenirs are sold in this toy shop. A great place to buy Pororo inspired items for kids! 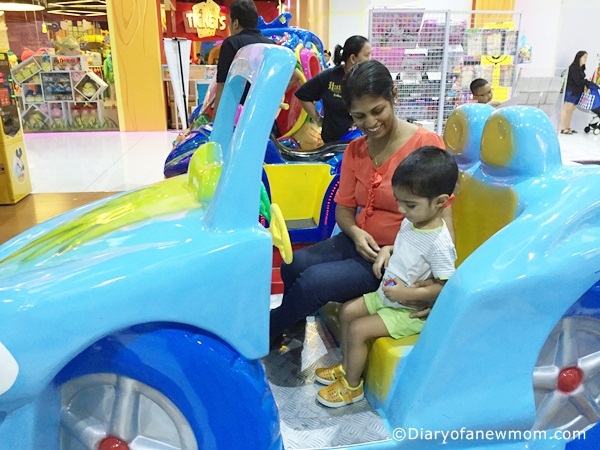 Overall, Pororo Park is not just another indoor playground. It is full of activities which are really helpful for enhancing kids activities and skills together with fun play. With lot of different activities for each age group, having a visit to the Pororo Park is worth for the price paid! If you want to throw a Pororo & Friends themed birthday party, then is there any other venue in Singapore than the Pororo Park? With activities for kids, a birthday party in Pororo Park will sure make your kid and other kids excited! Other than buying tickets for daily entrance, you can get the membership at the Pororo Park for a reasonable rate. This is not only a great way to enjoy savings; you can enjoy the member only privileges including monthly programs and more play time. Pororo Park is located at Marina Square which is a popular shopping destination in Singapore. Below are the upcoming events at the Pororo Park Singapore which you can bring your kids for fun play and edutainment programs. Kids Diwali Bollywood party will be happening on 22nd October. Save the date to enjoy this cultural performance and activities. Other than these Christmas and New Year activities will be there at the Pororo Park. Also don’t forget to join with the 1st year anniversary programs which will be happening soon! There are lots of ways to enjoy your time with Pororo & Friends! We enjoyed our time there and hope you will too! We had really great time there at the Pororo Park Singapore.Have you been there?Do you like to take kids to indoor playgrounds?Please share your thoughts below. Family Fun at Alive Museum Singapore + Giveaway! Alive Museum is simply amazing and you can’t come out without laughing and exciting feelings! Sure, you will get live and young after visiting the Alive Museum Singapore! Located at Suntec City, Alive Museum is a place where fantasies come alive. We were lucky to visit this trick art museum during the last weekend and we had loads of fun and exciting moments there. I am sure you’d love to see some of our photos we captured inside the Alive Museum! So hard to pull this tooth! Before visiting the Alive Museum, I browsed some blog posts and articles about experiences of previous visitors and really excited with the photos I found. Oh Black cat!Please don’t catch my son! Now there are two new zones namely Live.Laugh.Love Zone and Young @Heart zone where you will really rejuvenate with amazing illustrations and photography experiences. Awww..he can balance all these people at the circus! We love this zone much as it is with beautiful and exciting illustrations. Some of the art works feature circus and adventures. Below are some of our captures and our son loved this zone and tried posing for pictures without our support. We are glad he volunteered for photo poses, otherwise you know, sometimes it is difficult to take good photos with toddlers and kids! Live.Laugh.Love Zone at Alive Museum is with full of lovely and romantic exhibits and illustrations which you will love! I really love the exhibits and illustrations there and we missed few photo opportunities as we didn’t have another person to get photos of us. There are opportunities to take lovely romantic couple pictures and you will sure love these photos for the entire life time! Anyway, we still managed to take some lovely captures at this zone of Alive Museum. We love our latest Family Photo collection! Alive Museum is the biggest chain of Illusionary Entertainment Museum which is originated in Korea. Singapore Alive Museum is a part of this entertainment museum chain which provides opportunity for visitors to experience the excitement of 3D and 4D illustrations! As the name says, you will become live once you enter into the museum. So don’t forget to bring your family, loved ones or friends with you. As there are so many photo opportunities, it is always best to visit the museum as small groups which you can get the help of photographing different views. There are photo points marked on the floor in order to take the best shot. Follow these spots and have fun with live expressions! Actually, I couldn’t stop laughing with some illustrations. So, some of the photos are not that expressive! Try your skills to pose for natural looking photos and forget about selfies! Alive museum is not a place for selfies if you really want to get beautiful and tricky photographs. Also, don’t forget to bring your camera with extra batteries. There are lots of photo opportunities. Take Circle line and alight at The Promenade Station .Take Exit C and walk into the East Atrium (between Towers 3 and 4).Alive Museum is located at level 3. It is located at Suntec City mall which is a popular shopping mall in Singapore. Note: Please check the Alive Museum website before you visit. The museum may be closed for private events. Now this is the exciting news! One lucky reader of this blog can win a set of tickets for the family to visit Alive Museum! You can win Alive Museum family package (tickets for 2 adults and 2 children) worth $90 by participating the below giveaway. 1 Lucky winner will be selected. Once the Giveaway is over,I will share the winners here.I will also send email notification for the winner for required details. If I don’t hear from you within 72 hours,a new winner will be selected. Giveaway will end on September 14th 12am. Tickets are not exchangeable for cash. Have you visited Alive Museum Singapore? Please share your thoughts below. 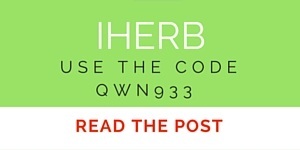 Also please join with the linky party if you have any blog post this week! Disclosure: We received complimentary tickets for our family to visit the Alive Museum. Well, our home is with bit of Pappa pig madness these days. Although I control screen time and addicting to same thing, I also encourage him to learn new things with fun. One day when it was a holiday for my son’s Playgroup, he told me he wants to see a Dinosaur! I actually was planning to go out with him but I also didn’t have any special place to visit. With his request and when I searched for dinosaurs in Singapore, I found few places including museum, science center and exhibitions. But for a toddler, it seems these places are not much attractive. Then I found this dinosaur park which is located in Woodlands, Singapore. 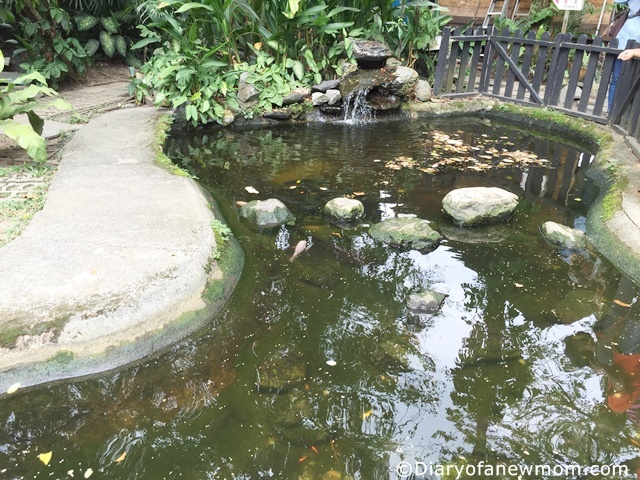 It is Fu Shan Garden, located at street 81, Woodlands which is an old playground between HDB blocks. This playground looks dry but there are also huge trees around it making it a cool place. This Singapore dinosaur playground is with slides which feature dinosaurs and Ouranosaurus. My little explorer was so happy because I took him to spend his day with dinosaurs. The playground and complete surrounding of Fu Shan Garden is located in a small hilly area. So the landscape is according to the natural place by making different levels. There are some boulders which help to climb the hill to the top of the garden. As this is not a much popular place, there were no other people. So, we both had our time among the dinosaurs and it was really fun. In this Fu Shan Garden,there is also a wall which feature different dinosaurs. For my son it was like a hike to a big mountain! 🙂 He had great time exploring the surrounding and the dinosaurs! Are we in Jurassic park Singapore? 🙂 We found many dinosaurs! Here is my happy little explorer at the Fu Shan Garden,Dinosaurs playground! 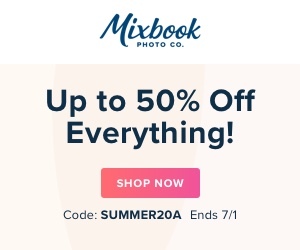 Do you have any photo story for this week? Please share. Singa the Courtesy Lion is a popular mascot used in Singapore kindness campaigns. Also called as Singa the Lion, the mascot is widely used in badges, stickers, banners and in many other forms in kindness movements. Although he is a popular mascot in many events, Singa the lion resigned officially from his duties on 2013.But still I can see the Singa Lion in publications and in different places. We received a Singa Lion toy in last year SG50 celebrations too. Our son loves his Singa Lion which he received from the last year SG50 celebrations. He has much attachment for lion toys and he take his toy lions wherever he go. Sometimes we keep our eye on the toy, because if he forgets it, we know we have to run here and there to locate the lion as lion is his best friend. Last week we were lucky to locate Singa Lion in Dhoby Ghaut as a beautiful statue. My son was so happy and he could spend few hours there while talking and touching the lion. A kind heart is a fountain of gladness –This quote teaches us a valuable lesson for the life. Thanks Singa Lion! While locating the Singa lion at Dhoby Ghaut, you can also spend time in the beautiful area around while sitting on a swing. Marabou Stork – Is this One of the Ugliest Animals on the Planet? 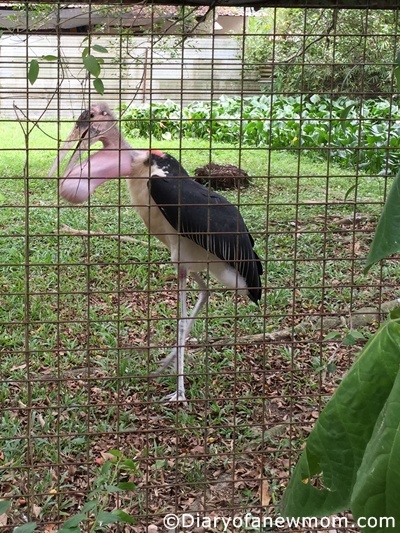 This is a Marabou Stork, a bird we found at the Animal Resort Singapore. 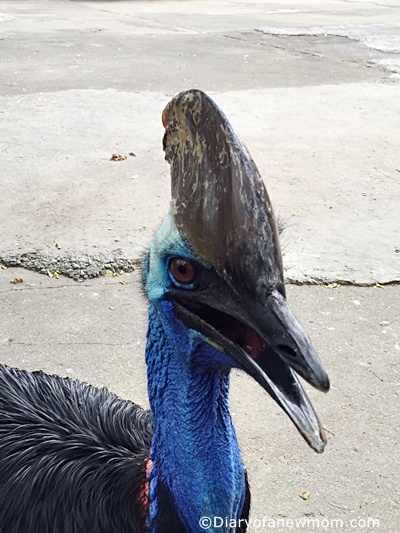 Once mnn.com mentioned this bird as one of the ugliest animals on the planet.Is this true? 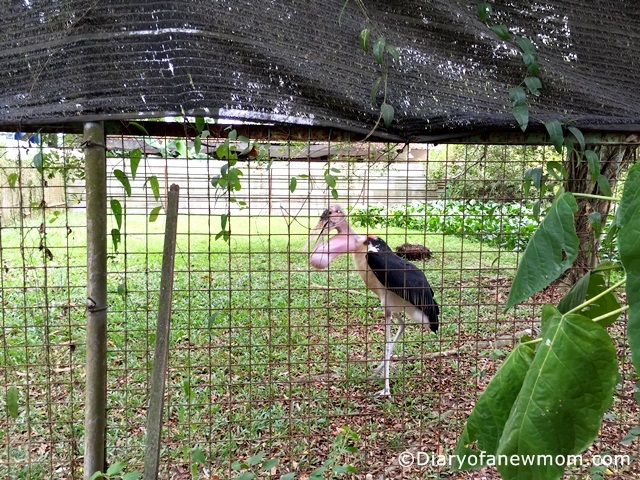 Have you ever seen a Marabou Stork before? Please share your photo story posts this week. We had our first kiddy ride! Yes, it is something to share here because so far our son didn’t show interest in riding on those beautiful cars and other such play equipment. He was afraid of riding, instead he loves playing with those just sitting and walking around. Nothing to worry, in my childhood days we spent time in the parks and there were play equipment such as swings and seesaw. We enjoyed Merry go round trips in special places or carnivals. So, this is my first kiddy ride too. Anyway we had great time by inserting coins, riding the car with the music, pressing the buttons and by looking at the colourful lights! Not sure where to go in the weekend? 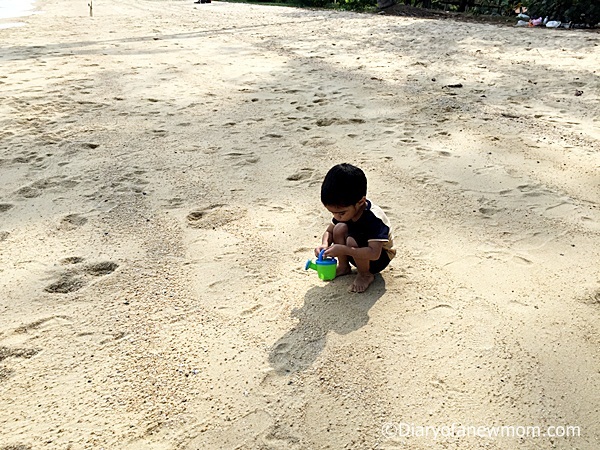 With lot of kids friendly activities and places it is really difficult to decide where to go in Singapore with kids for a short break. It is same with us sometimes, but I planned a tour to Animal Resort Singapore from long time and final we visited! 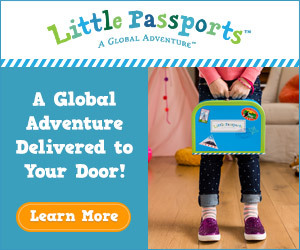 For a toddler what else can make fun than animal sounds and animals! Our toddler is same and he loves farm animals and when he just started talking, he always muttered ‘Old McDonald has a farm EiEiO…He has lot of farm animal toys and farm animal books, but he still loves watching farm animals live! 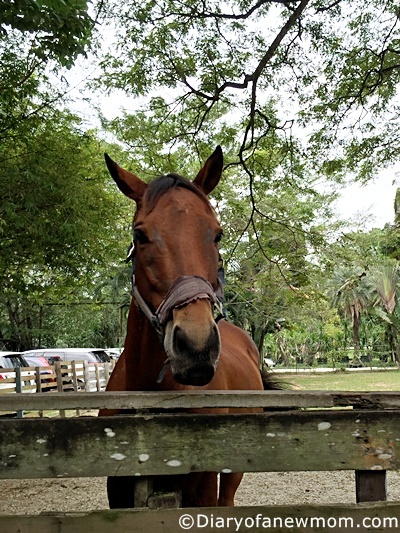 Animal Resort in Singapore is a really fun and interesting concept to bring the kids and there are number of farm animals live there. 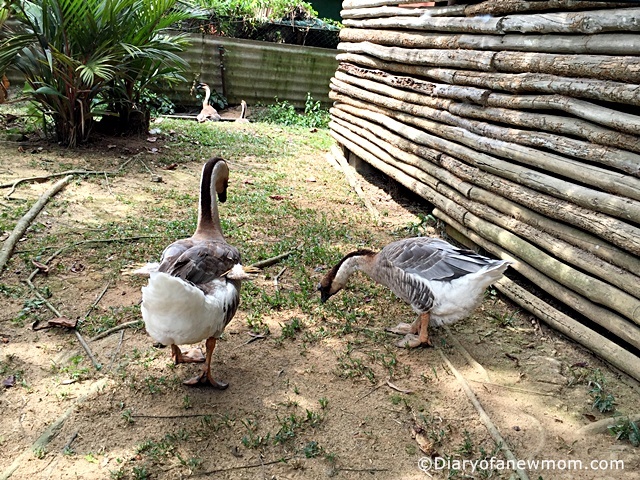 They live freely and suddenly you will shock with kampong style when geese are waddling and ducks say Quack Quack roaming around you! Here are some of the moments from our animal farm visit. 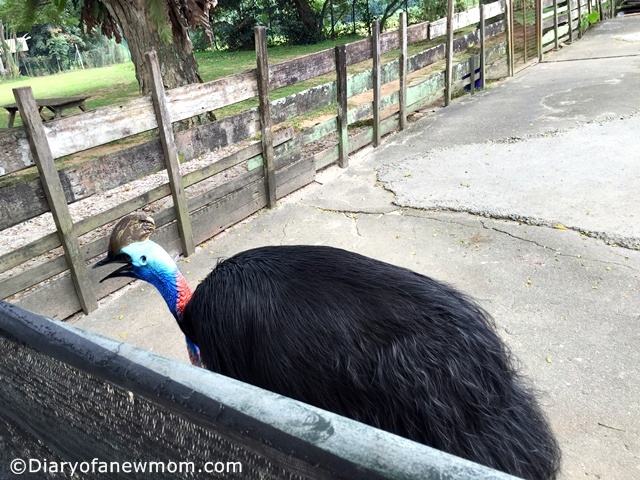 After feeding the horse,we started watching other farm animals.This cassowary stays next to the horse,so we cannot miss greeting him! 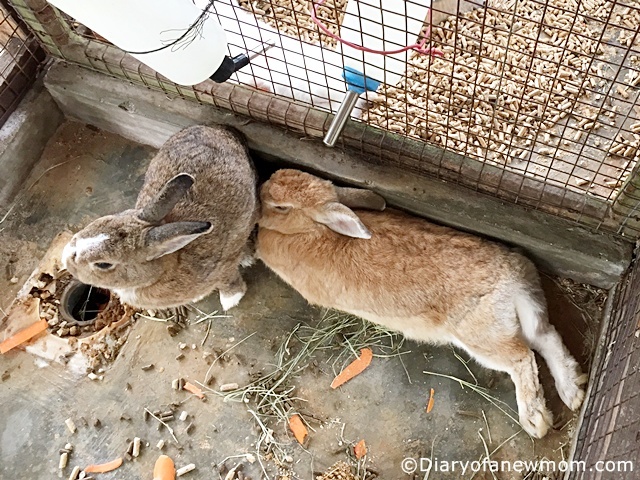 Next is a small hut with rabbits.The time we visited this hut ,it was bit crowded,but we could watch rabbits. Just after the rabbit house,it was a pond with fish. 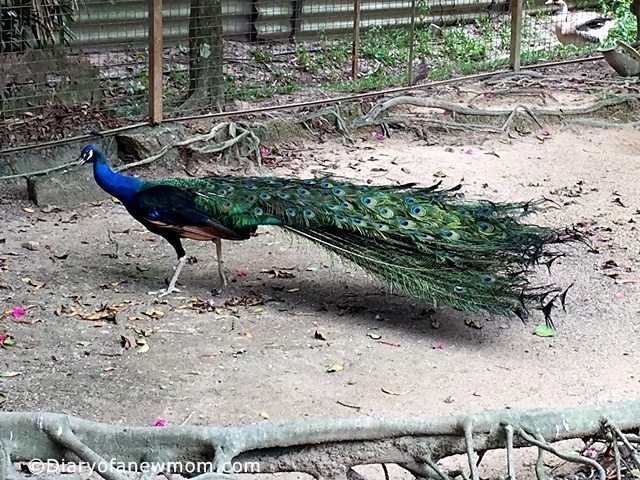 What we saw next is really interesting!The peacock who opened his feathers! 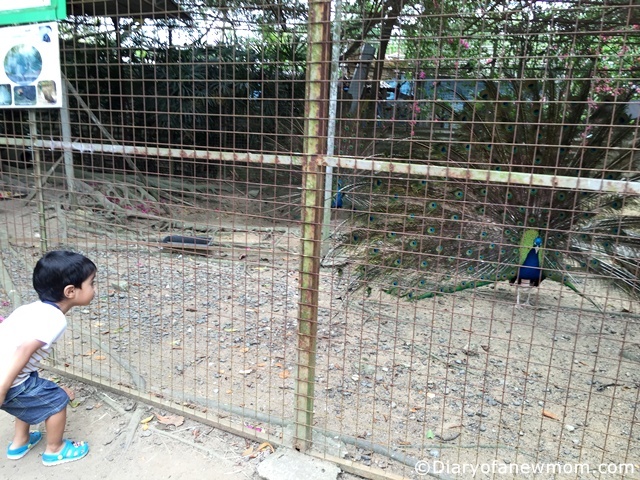 The peacock in this cage fanned out his feathers and it was a beautiful scene for us to enjoy. 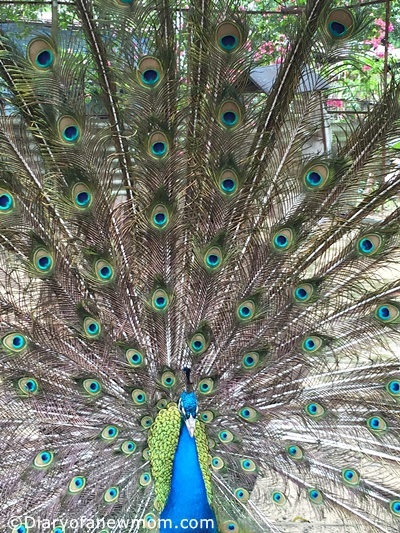 It was a beautiful peacock and he was walking around the peahen with his colourful feathers. 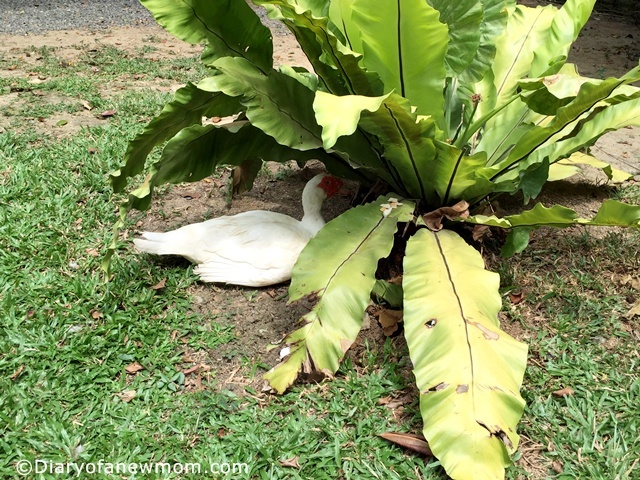 Next we found ducks roaming around freely together with hens and geese. 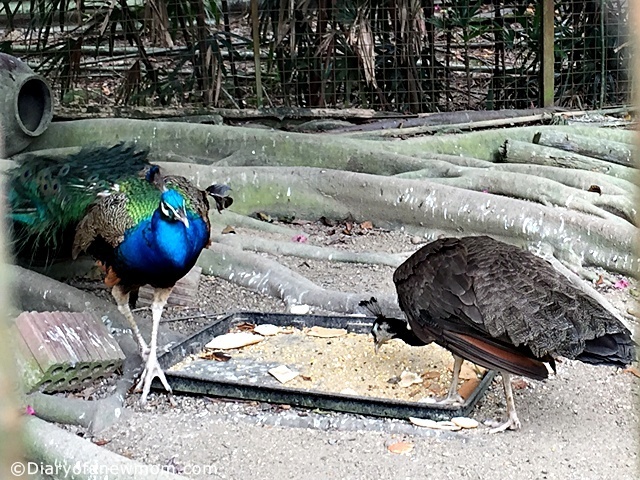 We spent time looking around and feeding the animals. Animal Resort is a great place to visit with kids.The day we visited was a bit sunny and hot day.But,still the Animal Resort was a shady place with trees around. If you think of a day out with kids,this is a great place to visit. How to reach: By car or By taxi is the best way to reach the farm as there is at least 10-15 minutes walk from the road. Bring mosquito repellent with you.If you forget,don’t worry.There is a shop at the Animal Resort. You can buy Animal food to feed the animals.Prices are really cheap.At the time we visited it was $1 per pack or $2 per every 3 packs. If you don’t drive,then hire a taxi.But sometimes taxi drivers also cannot find the place as the surrounding area undergoes lot of new constructions.That happened to us.If you go by bus,expect walking around 10-15 minutes through beautiful area with lots of trees. 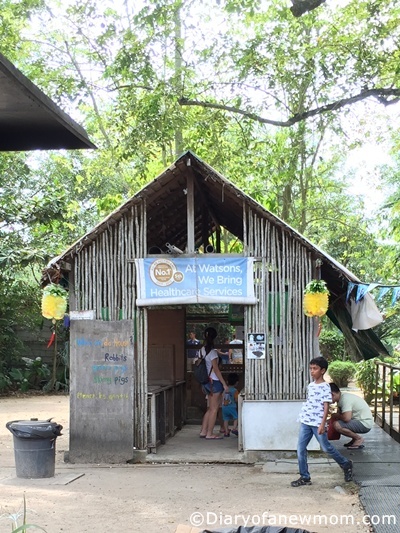 Inside the Animal Resort there is a shop which you can buy drinks and water. Hope you enjoyed this week’s travel post.Please share your photo stories with me using the linky below.